The pachyderm looks majestic adorned with a beautiful floral coat. 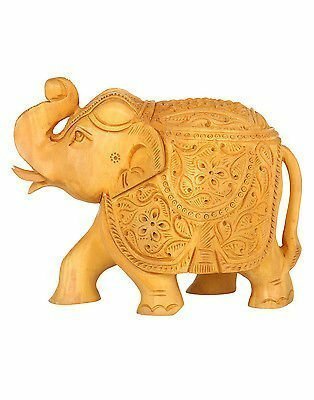 The artist has done a great job on the detailed carving work...the elephant has a composed, peaceful look. 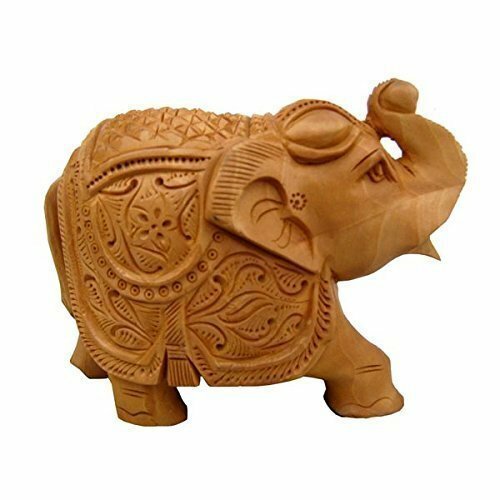 This is an all natural hand-carved wooden sculpture and NOT resin, plastic, faux stone or other synthetic material. 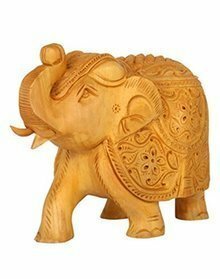 The statue has been hand-carved by artisans from Jaipur in Rajasthan, India. Because these are handmade, no two wooden sculptures are the same. And that adds artistic character to the pieces.